I may not be a coffee connoisseur, but believe me when I say this the best cappuccino I’ve ever tasted that came from an automated machine. In a demo with the DeLonghi PrimaDonna Exclusive coffee machine, we learned that you can put a price on a personal barista, and that tag is a pretty $3,500. Before you leave this post baffled with the price, hear me out. The PrimaDonna Exclusive is a true thing of beauty. 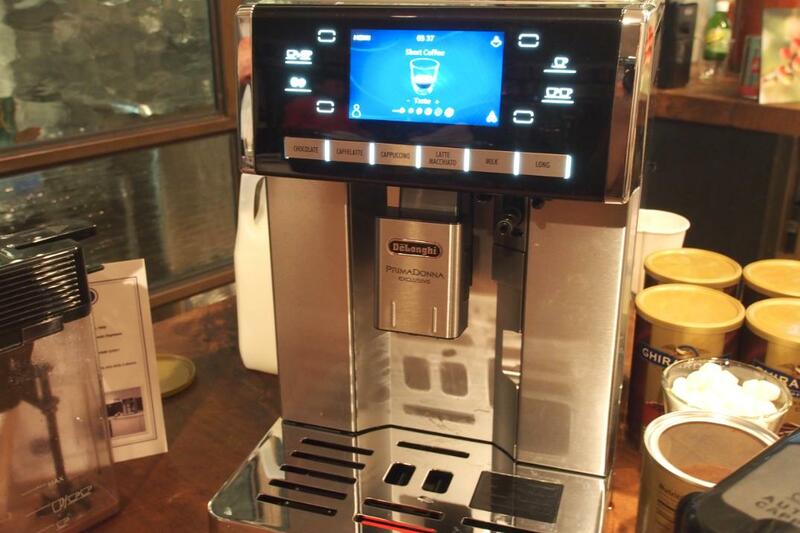 The steel body machine features a color touchscreen interface that lets you personalize your favorite coffee drink: Cappuccino, latte, espresso, and more. Bolder flavors? Done. More water in that Americano? Can do. Instead of using pre-packaged coffee pods like most automated machines, the PrimaDonna Exclusive lets you pick your favorite beans and pour them into a designated container. When you’re ready for a drink, the machine will freshly grind those beans and measure just the right amount depending on the drink of choice. You can use pre-ground coffee as well. 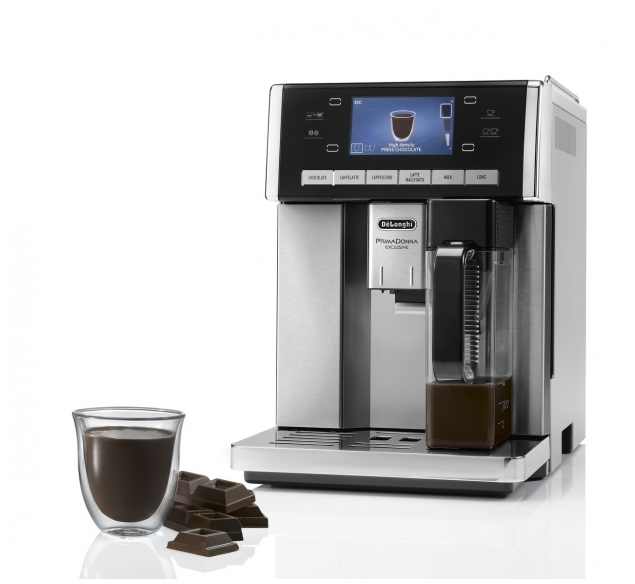 The notable add-on for the DeLonghi PrimaDonna Exclusive is the chocolate drink maker attachment. Now, you can pour in a bit of milk, your favorite chocolate drink mix, and select how rich you want your drink to be and the machine will heat up the drink, mix, and dispense in a matter of seconds. Mocha lovers should find this attachment a dream come true, especially when the machine can program up to six profiles for personalized recipes. When it’s time to clean, you can also open the machine up to its sides to detach parts for manual rinsing – no need to flip the machine on its back to disassemble. The PrimaDonna Exclusive is a lot of parts compared to the Krups EA9000 we reviewed earlier this spring, so it’s best suited for someone who likes options. But back to the cappuccino. The cool thing about the PrimaDonna Exclusive is the machine’s flexibility. The milk frothing attachment can heat the milk automatically if you have no idea how to do so – but the attachment also comes off and lets you manually froth milk if you have some barista experience. The milk container is detachable, so you can take it off the machine and put it back in the fridge when it’s no longer needed. Since all the heating happens in the container lid, the milk stays fresh. You can also flavor the milk with spices or leftover coffee cake like our demo chef did, concocting the most delicious cup at home without forcing you to get your name destroyed by Starbucks employees. If price is no obstacle between you and the most beautiful cup of coffee you can get with minimal effort, the DeLonghi PrimaDonna Exclusive should stand high on your Christmas wish list. The machine will be available in January 2014 for $3,500. You get what you pay for, honestly, and you can’t put a price on avoiding hipster baristas.